As teenagers exit foster care without a family or support system, their futures can be uncertain. The same goes for young adults facing homelessness and other significant struggles as they begin the next phase in their lives – often alone. At CHS, we believe every teen and young adult has potential to succeed, and we provide solutions and services to help them realize it. Every year, more than 100 teens in Central Florida turn 18 while in foster care. Without help and guidance, many will face a lifetime of dependency – welfare, jail, homelessness. There is another path. A path to success that begins at the doors of The Faine House. Make a donation to support the programs and services provided at The Faine House. Sign up for the FaineHouse5k.org. Upon move-in, residents craft a Life Plan to guide their progress. Taking each step together, The Faine House assists in their growth. Through the development of each life skill, residents progress, become empowered and enter our community as confident adults. 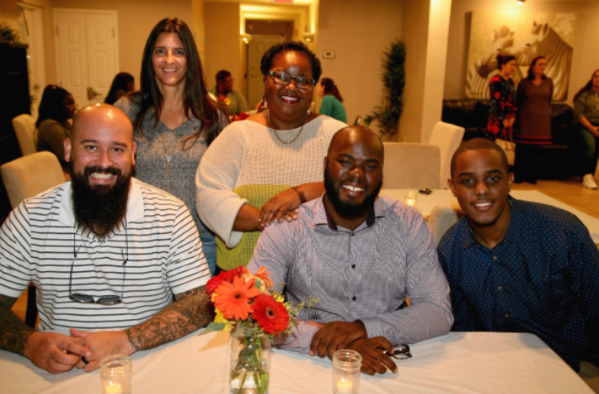 After just four years, The Faine House has blossomed from a 10-bed residential home for teens exiting foster care into a community for young adults on their journeys into adulthood. This solution has gone from helping kids get driver’s licenses to now helping them find and launch into careers. Learn more about our giving societies and other opportunities that benefit The Faine House. Contact Ashley Vann for more information about ways to get involved and needs at The Faine House.